Looking for the information about start Tata Motors show room, service station or workshop area? The following article has all the details you need to know about Tata Motors dealership franchise. Tata Motors has an excellent range of utility vehicles and is India largest automobile Company. Tata Motors is known for its economical range of cars for the middle-class society of India. Nano is one such car launched by Tata Motors. Tata Motor was established in 1945and is one of the oldest automobile companies of India. Tata Motors has a huge market in India be it through showrooms or service centres with more than 7.9 million vehicles on road. Total investment required for starting a Tata Motors dealership is around 10 crores. Approximately 60 to 70 lakhs will be required for equipments used in workshop for metro cities and big cities. This cost will be 35 to 50 lakhs in small cities and towns. The vehicle inventory in metropolitan cities will cost around 10 to 12 crores and this cost will be around 2 to 3.5 crores in towns. Tata Motors spare parts will cost around 45 to 55 lakhs in Metros and 15 to 35 lakhs in towns. Software, support system and other such expenditures will cost around 40 - 50 lakhs in Metros and 20 - 30 lakhs in towns. The land requirement for starting Tata Motors is 5000 to 6000 square feet in Metro cities like Mumbai, Delhi, Kolkata, Chennai and 3000 to 4000 square feet in towns. This area includes the office area. Land required for Work shop or service station of Tata Motors must be 30,000 to 35,000 square feet in Metros and 15,000 to 20,000 square feet in towns. 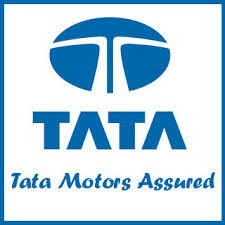 For starting dealership of Tata Motors as integrated 3S facilities which includes Sales, Service and Spare Parts within one roof then area requirement is 55,000 to 65,000 square feet in Metros and 30,000 to 40,000 square feet in towns. The land should be self-owned or on a long lease. ROI and payback period is not definite but is expected to be 16 to 20% ROI and 5-6 years payback period of capital. To apply for dealership of Applying for Tata Motors dealership is simple. For that you need to download 20 pages dealership brochure from the official website of Tata Motors. Fill the form and mention all details regarding site, financial soundness etc. Terms and conditions are provided in that brochure.